iPad 2 – Cannot Connect to WPA2-PSK AES Encrypted Wi-Fi Network? Recently, I ran across a problem with my iPad 2 that I had not experienced before: not being able to connect to a wireless network! I’ve had my iPad 2 since it first came out and haven’t had a single issue with it yet! It’s the best gadget I have ever owned. I made sure that I had the latest version of iOS installed on my iPad 2, which is currently 9.x. I went ahead and also tested connecting to the new wireless network using a laptop and it worked just fine. So there was definitely not a problem with the router. My first thought was that the iPad 2 could not connect because I had setup the security to WPA2-PSK with AES encryption. I went ahead and quickly changed the security on my wireless router to WPA with TKIP and the iPad 2 connected!! That was great, but I was still surprised that the iPad 2 would not support WPA2. After doing some research, I figured out that the iPad 2 does indeed support WPA2 and TKIP/AES encryption. So I changed the security on the wireless router back, but still could not connect! Frustrating to say the least! After a while, I decided to try and reset all the settings. I eventually found an option to reset the network settings only. After resetting the network settings, I was able to connect my iPad 2 to the WPA2-PSK AES network! Not sure why I had to reset the settings, but for whatever reason, it did the trick. 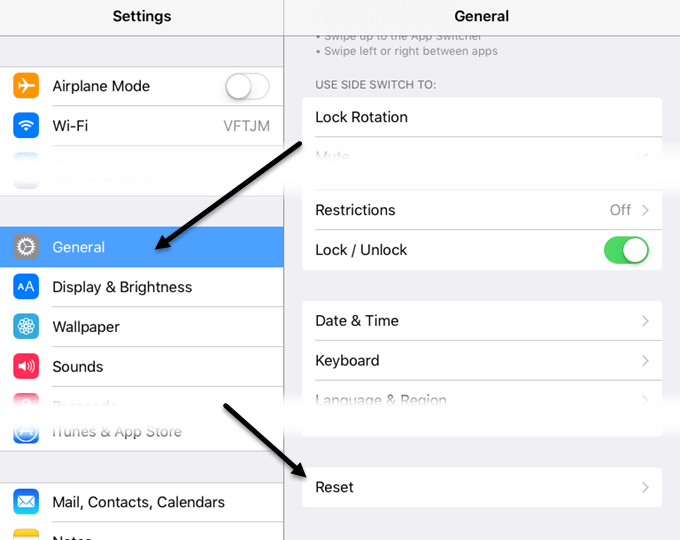 You can do this on your iPad 2 by first going to Settings and then clicking on General. 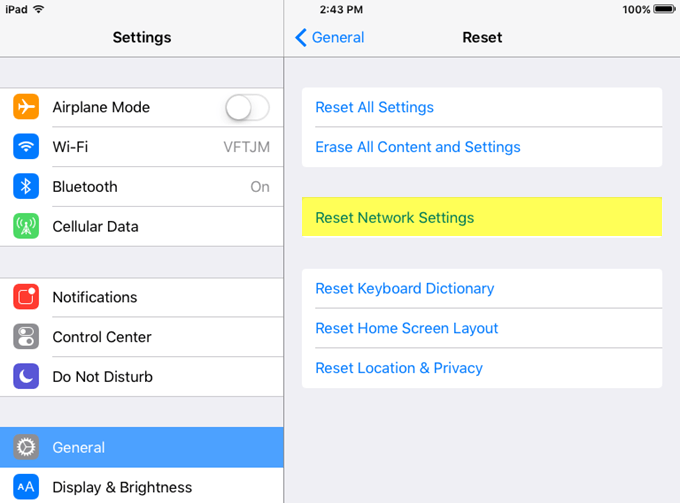 Go ahead and tap the Reset Network Settings option and you should be good to go! Turn on your Wifi again and try to connect to the problem wireless network. Hopefully you will be able to connect now without any issues. If you are having problems, post a comment here and I’ll try to help! Enjoy!